Working within the Nursing Education field for many years I fully recognize and embrace that nursing, and nursing professional development, requires a commitment to lifelong learning. To be a nursing professional development specialist means to commit to lifelong learning – your own, and that of those around you. That commitment is so highly reflected in the caliber of nurses and nurse educators here at Northwell Health. Nurse educators are a cornerstone for organizations because they are key people who transform the organizations vision and goals into action. The tireless work that nurse educators do in developing staff at all levels, including the future generation, has an impact on patient care that, arguably, cannot be quantified. You cannot consider improvements in quality, professional practice, patient experience, achieving Magnet designation and more without considering the critical role that nursing education has played in these achievements. I’m proud to say that the Northwell Health culture is one that supports nursing professional development – we practice what we preach. I myself can attest to the support that I received from my organization in furthering my education. Northwell Health provided full support for myself and approximately 75 other nurses who have either completed, or are in the process of completing, their DNP. It’s an honor to be part of a visionary organization that is leading, and exceeding as the IOM Future of Nursing report recommends to increase the number of doctoral prepared nurses to 80% BSN by 2020. Our nurse educators remain the driving force around our onsite academic courses which support our culture of academic progression. Nursing Education leads robust orientation programs and processes for over 2,000 nurses and some 1,500 new nursing support staff each year. Our nursing professional development excellence is reflected among our 16,000+ nurses whose professional certification rate and BSN rate at many of our facilities continue to exceed the mean of Magnet facilities. None of this could be achieved without our exceptional Nursing Education team – and what I’ve named is just a drop in the bucket. I want to use this opportunity to say to colleagues, near and far, “thank you for celebrating with us.” And to Nursing Professional Development Specialists at Northwell Health and beyond – Happy National Nursing Professional Development Week 2016! We are pleased to have Launette Woolforde as Vice President for Nursing Education and Professional Development for Northwell Health. In her 19 years in Nursing Education she has contributed to the development of countless nurses, and aspiring nurses, within and outside of our health system. 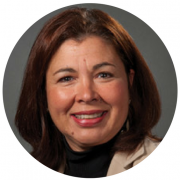 She is an assistant professor at the Hofstra-Northwell School of Medicine, a member of the Board of Governors at the National League for Nursing, board certified in Nursing Professional Development and a member of the New York Academy of Medicine. Launette joined the health system over 11 years ago and has served in capacities including nurse educator, orientation coordinator, corporate director for nursing education, and senior administrative director for patient care services. Launette holds a BSN, MSN and post Master’s certificate in Nursing Education, and having earned a Doctor of Nursing Practice (DNP) from Case Western Reserve University and a Doctor of Education (EdD) from Columbia University, Launette became the first nurse in the health system to have earned two doctoral degrees. When I arrived in the United States from Ireland I was jetlagged and nervous but excited to start my position at Northwell Health. From my first day, everyone was so helpful in getting me settled and comfortable in not only a new work environment, but also a new country as well. My position was to take part in various HR projects throughout the Summer. My first day began like all other hires, with me attending Beginnings. It was such an eye opening experience as it showed me the scale of the company I was now part of. The fact that everyone from newly hired nurses, to newly hired janitors, showed me that everyone in this company was valued and everyone had a role to play in keeping the company on top. It was amazing to get to see the CEO of Northwell, Michael Dowling, speak at the event as it is rare to see a CEO welcome new hires every Monday. For the rest of the week I was introduced to everyone that I would be working with and shown what I would be doing. My main role consisted of helping the Human Resources team with creating files for new hires, learning the correct ways to source for recruitment purposes, and conducting internet researches on various HR processes for projects. 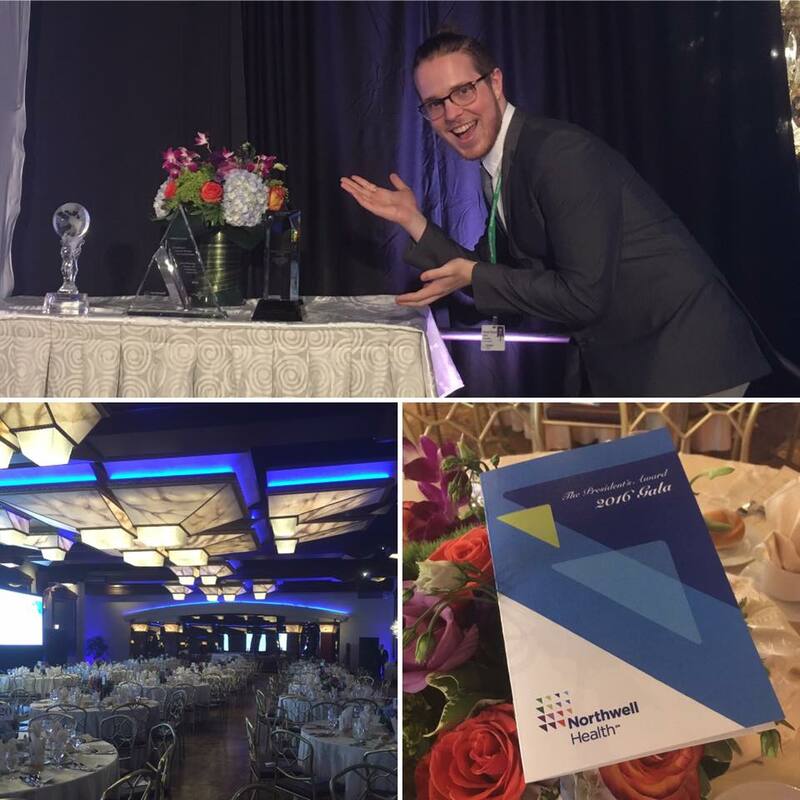 Since I was part of a cultural exchange program that focuses on learning the entirety and culture of an organization, I was also able to attend multiple Northwell events. Some of the events I was able to attend were Beginnings, which was every Monday where I got to help answer any questions anyone might have as well as promote the new Northwell app. I also had the opportunity to visit Northwell Studios, where they edit film to create videos in order to show the strength and bravery of their patients, the professionalism and level of care that their staff provide. I saw a video being edited of a man who was in his sixties being interviewed after having a baseball-size tumour removed from his skull. However, within a few days after his operation, he was back to teaching Tai Kwon Do. It was truly astonishing that the surgeons had such a level of skill that allowed his recovery period to be so short. 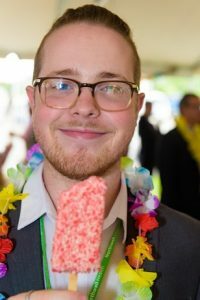 I joined a photographer in attending an employee barbecue who showed me how best to tackle photographing such an event. I also went along with a photographer to a fundraiser for the Feinstein Institute who, amongst other incredible things, are making outstanding advances in medicine in areas such as bioelectronics medicine. It showed me how Northwell was not only treating people with life changing illnesses today, but planning to cure these illnesses permanently so that in the future there would be no need for long term care. I next visited CLI (Center for Learning and Innovation) where I watched trainee doctors and nurses being examined on their ability to discuss various topics with patients. I talked with some of the actors who play the patients, as well as those who keep track of the length of the encounters and keep the whole system running smoothly. I was really interested in seeing if I could take part in some way so they allowed me to be a standardized patient for a day. I had to go through a patient case, learn the information, and then act as that patient. I was given hospital garments and had to sit in an appointment room and wait for trainee doctors and nurses to come in and talk to me about what my illness was. My particular case was a “bad news” case, in which they had to tell me I had a very serious illness that could kill me. After every encounter, I had to discuss the students’ performance with a member of the faculty who was observing the encounter and grading the student. It was incredible to see how much emphasis they put on not only medical knowledge but also social skills that doctors and nurses require when talking to patients. I had the honor of meeting a woman called Amy Smith (picture top left), who works as a nurse at Lenox Hill Greenwich Village. She had won the Northwell President’s Award for Exceptional Patient/Costumer Care, and her story was simply incredible. She is a sexual assault and violence (SAVI) advocate who made helping those who experienced such horrible things her life’s work. Her dedication, and her simply astounding will to help anyone who asks for it was inspirational. I attended the award ceremony (picture top right) where Amy and other people throughout this health system were being honored for their outstanding achievements. It showed me how this organization was a place where going the extra mile was awarded and encouraged. It was also a way of saying thanks to those in the company who are striving to make it one of the best places to receive healthcare. The rapturous applause each award winner received was evidence that these people were being supported by their friends and colleagues in being the best they could possibly be. I was given the opportunity to go for a ride-along with the ambulatory services that we have. I was shown around the central command hub which houses all the data that the ambulatory drivers need in order to do their jobs efficiently. However, ambulances were not the only thing to benefit from the hub. The Sky Health helicopter also uses the information, which the hub provides. The scale of the network was enormous. I then went out on a call with a response vehicle and got to experience the life of a paramedic first hand. Their calm nature and professional approach made the process smooth and efficient for the patient, and showed me that the level or care that I had seen in multiple hospitals was being reflected out on the field. And that, dear reader, is a quick summary of my brief experience here at Northwell Health. There are so many people who I have become great friends with and who have made my dream of one day living in America stronger, and my drive to achieve it even larger. As I return to Ireland I will bring all my experiences and newly learned skills with me. And as a last note, I would like to say thank you to everyone who made my experience so interesting and beneficial. Even if you only said “Hello” to me as I entered a building, that “Hello” made me feel so welcome and made my experience just that little bit better. Thanks again, and as we say in Irish, “Slán tamaill”, or in English, “Bye for a while”. This program has grown from 46 participating RNs to over 620 RNs as of 2015, showing the exponential growth that has been seen in the number of clinical ladder nurses for more than 10 years. We have focused on the growth areas we listed above to help our nurses expand their reach of care and accomplish their goals. Renee Gilchrist, RN (2014) – Partnered with her hospital’s skin care team to decrease patient’s skin breakdown, which led her into initiating a research study on pressure ulcers. Germain Gelo, RN (2015) – Reviewed the literature on unplanned extubations to support the development of a systematic approach for the management of unplanned extubations and an airway safety bundle. Melanie S. Weiss, RN – Published Pickle-Over-PANDAS (Pediatric Autoimmune Neuropsychiatric Disorders Associated with Streptococcal Infections). In the forward of the book, Dr. Rosario Trifiletti describes the book as a “little book that explains, in simple terms that children can understand” as well as empowers parents, about PANDAS. Over 35,000 contact hours awarded in 2015, and 95 new programs offered through the Institute for Nursing in 2015. Many elearning modules offer contact hours. The efforts are continuing for 2016. Check out our nursing career opportunities. Our Nurse Educators are dedicated to influencing, guiding and providing the top resources and programs for all our employees so they are able to accomplish their career and educational goals. Focused on empowering and creating lasting relationships, our nurse educators work tirelessly to ensure every employee who wants to grow has nothing holding them back. Read below to learn about some of our programs that Nurse Educators directly influence or participate in with our nursing professionals. This year, 53 nursing students across the United States participated in our 8-week summer Nurse Extern Program. After a formal orientation at the Institute for Nursing, that continued at each participating facility, the externs had the opportunity to work at various Northwell Health Sites. 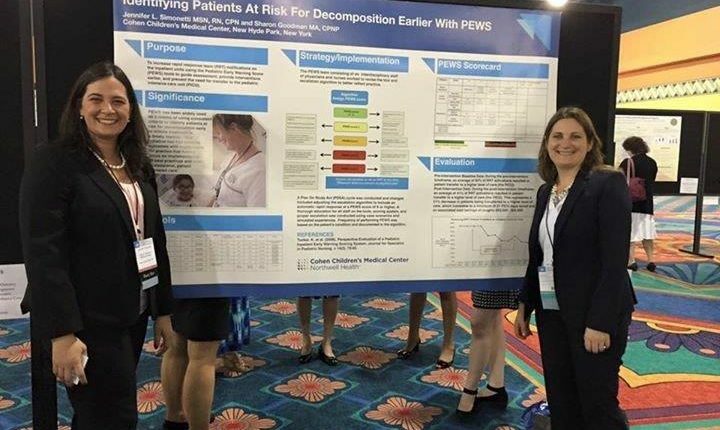 Northwell Health Nurse Educators provide clinical education, support, guidance, and mentorship throughout the pediatric, emergency department, peri-operative services, and critical care fellowship programs. Last year, over 240 nursing fellows were hired after being a part of this program. Northwell Health Nurse Educators support professional development. Nurse educators provide academic guidance, assist nursing students in finding preceptor placement, and serve as preceptors themselves. In 2015, over 1,900 Northwell Health nurses returned for their Bachelor of Nursing Science and Master of Nursing Science in a variety of specialties. Northwell Health offers tuition reimbursement for our employees to further their education and career goals. To further the education of Northwell Health nurses, our Nurse Educators and Institute of Nursing provide many resources to achieve any academic goal. Our Nurse Educators play a vital role in ensuring the educational success in various programs. Academic Progression Our Nursing Educators and the Institute for Nursing help our employees reach goals by counseling nurses who are seeking to continue their life-long academic goals and support them in achieving specialty certifications. Our growing partnerships. We have over 50 nursing affiliation agreements to support clinical experiences at our facilities. Advancing your education. Our Nurse Educators serve as preceptors to nursing professionals furthering academic progress in BSN, MSN, Ph.D and DNP programs. Our Nurses also have the opportunity to attend on-site classes to work towards their BSN or MSN degree. Hofstra Northwell School of Graduate Nursing and Physician Assistant Studies. Ever hear of the GEM Awards? A national program developed by Nurse.com to promote the overall nursing mission of excellence, the GEM Awards highlight the most prestigious nursing professionals in the nation. The awards focus on the leadership, management, education, volunteerism, inpatient care and community care that leads these professionals each and every day – and 3 of our very own employees have been nominated. Meet our nominees! Nominated for her Excellence in Education and Mentorship, Probst is the Director of Cancer Services, Nursing, at Huntington Hospital. Responsible for the oversight of all the cancer services in the 400-bed facility, the first oncology unit took shape under her organization and she developed all oncology policies and procedures. She received state recognition for her work in widening cancer prevention opportunities for women’s health screenings, and advocated for resources for those who did not have the financial means to follow up on breast abnormalities. 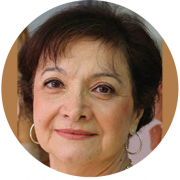 Her accomplishments range from overseeing the oncology core curriculum for new nurses, to psych-educational support programs, to volunteering in all community outreach programs. Nominated for her Excellence in Management, DiStefano is the Senior Director of Patient Care Services, Nursing Administration, at Staten Island University Hospital. Credited with taking the lead to move forward with electronic health record implementation, she drove her staff members into the future of electronic documentation with patience and constant encouragement. 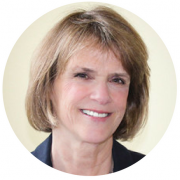 Her accomplishments range from achieving baby-friendly designation, to initiating bereavement education and perinatal bereavement practices, to leading the interdisciplinary obstetrical hemorrhage protocol. 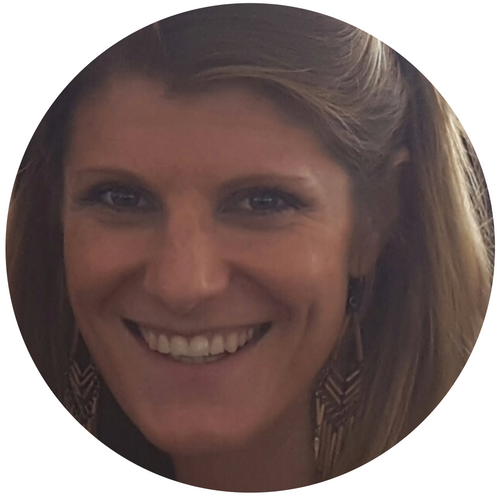 Meet the Excellence in Management Award Winner – Laura Iacono! Awarded to an RN who makes significant contributions to the management, supervision, or direction of the environment of care and the performance of staff, demonstrating an ability to lead, influence and improve outcomes of care in any inpatient or outpatient setting. Winner of the Excellence in Management Award, Iacono is the Nurse Manager of the Neurosurgical ICU at North Shore University Hospital. Her passion for staff development, professionalism and empowerment has resulted in her unit’s achievement of more than 50% improvement in staff certification and her staff achievement of clinical ladder status has improved from 0% to more than 63%. 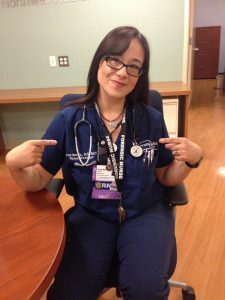 While managing such a prestigious unit, Iacono is also on the clinical advisory board at a local university school of nursing, showing the dedication she has to the nursing profession and helping others. Congratulations to our 2016 GEM Award nominees and to Laura Iacono for winning the Excellence in Management Award! South Oaks Hospital, a proud member of Northwell Health, has not only continued to have a long term reputation for compassionate care for their patients, but for their employees as well. Hear from Colby Povill, Nurse Manager, about how she can only see the good that comes from psychiatric nursing and from working in an environment that encourages every employee. “South Oaks Hospital has afforded me the opportunity to develop and grow over the past eight years. I started as a float RN, and I was offered opportunities to work in all service areas, and to cover as our second ECT nurse. As South Oaks leadership saw potential in me, I was promoted to an inpatient charge nurse, and was later given a position as the Charge of the Adolescent Partial Program. While in this position, I started working towards my MSN, and when a management position opened up, leadership again saw potential in me and gave me the chance to develop as a nursing leader. I have been a manager for the past three years, starting in the Child & Adolescent service area, and more recently transitioning into Adult services. Due to my experience, I believe that leadership here at South Oaks recognizes its employees’ goals and strengths, and offers constant opportunity for development and growth. What I have found throughout my years here is that every position is an invaluable experience, and every patient population offers opportunities to learn. Psychiatric nursing not only offers a wealth of diverse experiences, but it is also constantly evolving. I also learned that psychiatric nursing is one of the only specialty areas that truly focuses on the patient-to-nurse relationship such as, recovery and wellness which always depend upon our contentedness with our patients. The professionals who succeed in psychiatry are truly the most selfless and infinitely patient people that one could ever know. Working among such individuals has been a truly rewarding experience and has made South Oaks my second home.